2019 UPDATE: Rev. Pamela will be offering rituals in Crestline, CA starting in February. Please see the Temple of Transformation page for details. 2017 UPDATE: Due to my starting my PhD--Workshops will no longer be available in Sacred Circle Earth-Wisdom, instead you can purchase the book and mat set at www.salisspiritus.com and begin your journey immediately. Always feel free to contact me if you have questions. If you are interested in connecting to the Divine through nature, ritual, journey-work, and creative expression...this Path is for you! Combining the wisdom of the world's Earth-Wisdom Traditions and distilling it down for the Western mind to comprehend, Within the Sacred Circle takes you on a year-long creative journey to dive deep into the wisdom of the Directions and their corresponding energies. 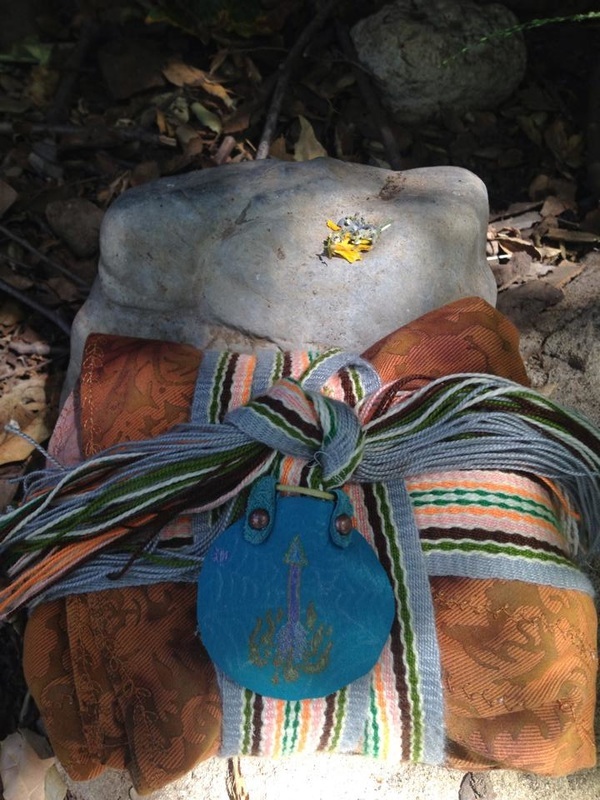 Along the Path you will ACTIVATE a personal set of 9 Stones that will act as your holy space, Altar, and Earth-Wisdom Center. The Rituals will help you to create the life you want through sympathetic magic, art creation, writing, journey-work, and more! * The Elements, Aspects of Self, Holy Times, Totems, and Divine Archetypes that are associated with the 8 Directions. * Will grow Spiritually, Emotionally, and Physically through the use of Meditation and Spiritual Practices. *Develop Compassion for Yourself and the World around You. *Transform Your Life through Profound Ritual. Background: After doing an immense amount of research on Earth-Wisdoms across cultures, I began working with a circle of stones that corresponded to the directions, elements, totems, energies, and aspects of Source. During this work, I discovered I had stumbled upon a deeper part of myself that had been teasing my consciousness since I was a child. I was finally able to conceive why I collected stones from any place I visited, and needed to have particular gems when I went to Pagan shops. I began to realize the similarities between the Stone Circles of Ancient Britain, the Mesa Carriers of Peruvian Shamanism, the Medicine Wheels of the Native Americans, and any Earth-Based religion that realized the energy that can be accessed from stones and the grid of Earth Energies below us! During my study of this European Shamanic practice, I met Sobonfu Some, a Dagara Shaman from Africa. I found out from her that I am a Mineral Keeper--one who gathers stories, prefers structure, brings passion out of others, and most importantly is drawn to gemstones because Mineral Keepers know that memories and wisdom are stored within them. Over my years of study in Seminary, I worked to thoroughly understand the elaborate energies of the circle of stones I now carry and look to as my spiritual companions. 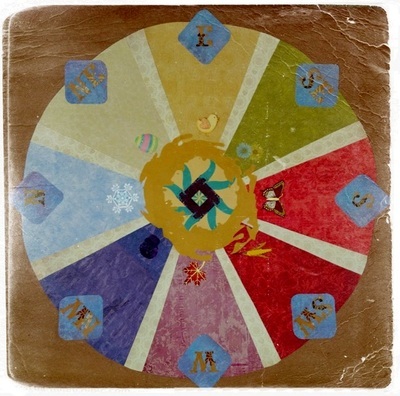 Performing rituals that align my consciousness with the energies of the seasons, and activating the 9 stones that make up the configuration of my Sacred Circle is my passion. I have written a book explaining the rituals, energies and my discoveries about Shamanism. I am now offering the wisdom of this Path in a series of Ritual Workshops in both Southern and Northern California, AND NOW AVAILABLE ONLINE. During these events you will learn about the distilled-down ancient practices from many cultures in which you will utilize and integrate their core energies. It has been my goal as the Elder Keeper of this Path to make sure not to misappropriate from other cultures, and assist anyone of any spiritual persuasion in their use of this magnificent magical system. Journey Work based on the energy of the Direction we are studying. 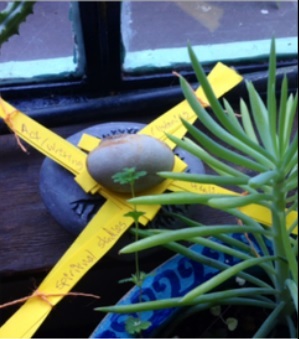 Ritual Work to transform particular parts of your life. Creative Practices like collage, writing, and trance dance to enhance the practice. Instruction on how to use your own personal Sacred Circle of Stones wherever you are. Meditations, Assignments and Spiritual Practices to do at home that align you with the energy of that Direction. Activation of each Stone as we move throughout the year. NOTE: The Sacred Circle Path works with any spiritual practice or belief in a particular pantheon. The teachings are presented from an Interfaith perspective where all are honored. If you have any questions before committing to this process, please feel free to email me.